"Last year we were able to help more than 90% of all writers who applied. Priority is given to first time Arvon writers. Writers can apply for any amount up to the full course fee, although most receive between £200 and £400." The range of courses gets wider every year - not just short stories, poetry, novels, but graphic novels, songwriting, memoir etc... Check out what's on offer. If you fancy having fun with me and Dave Swann, my mutli-talented co-tutor (and our special guest, Carrie Etter) then we would love to have you! 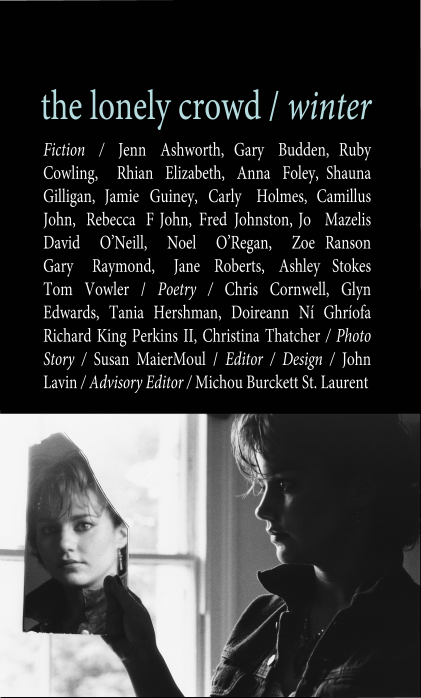 That's all to look forward to, but in the meantime, I'm delighted to have two new prose poems in the latest issue, Issue 3, of The Lonely Crowd, a gorgeous print magazine which is stuffed full of so much good writing, it's hard to know where to start. I've already read two stunning stories by Jenn Ashworth and Jane Roberts, am pacing myself before devouring the rest. You can read an introduction to the issue by editor John Lavin, in which he rather delightfully describes my contribution as "two playfully allusive prose poems that serve to add a dancing-light-like quality" - and can listen to me reading them here! 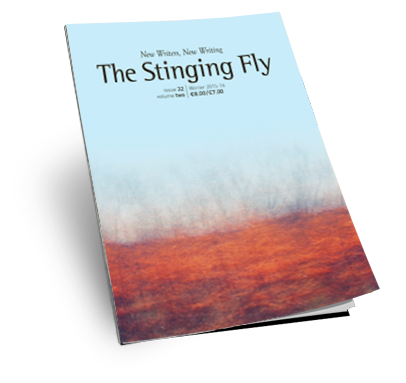 I also have a new poem in the Winter 2015 issue of one of my favourite lit mags, Stinging Fly, accompanied by what guest editor Billy Ramsell calls a "souterrain", a strange and creative prose piece he asked several of us to write, describing the origins of our poems. 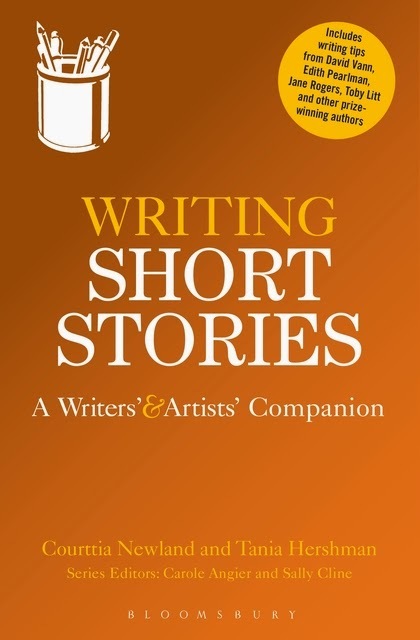 Finally, should you be stuck for festive gifts, Bloomsbury are offering a 40-45% discount on books, including Writing Short Stories: A Writers and Artists Companion - head this way! I am looking forward to 2016 - which will involve events in Hampshire, Cheltenham, Birmingham, London - as well as the launch of my poetry chapbook in Cork! I am open to other invitations, please do drop me an email. I will also (I will, I will) be finishing my book for my PhD. Oh yes. And kicking off a few new projects which will require your involvement, funding permitting - so watch this space! 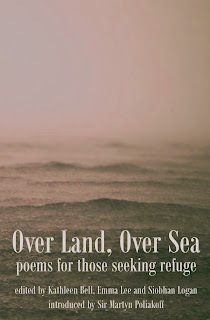 This gorgeous poetry anthology, Over Land, Over Sea: poems for those seeking refuge, edited by Emma Lee, Kathleen Bell, Siobhan Logan, has just been published, by Five Leaves Publications,and at just £9.99 - with all proceeds from sales of the book shared between the charities Médecins Sans Frontières, Leicester City of Sanctuary and Nottingham Refugee Forum - it makes a wonderful gift that can help in more ways than just the enjoyment of the writing, sending aid to those who have no homes and are looking for a better life than the one they left behind. 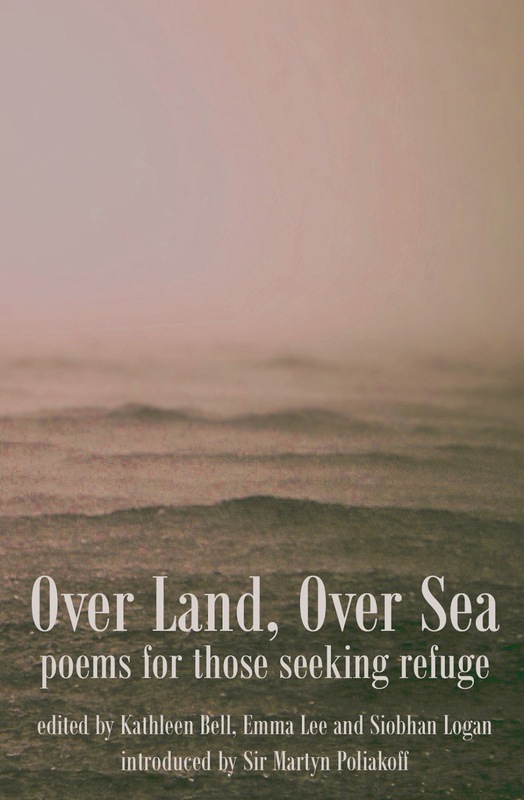 An anthology of 101 poems expressing solidarity with the refugees who are currently receiving so little welcome as they take to boats and rafts to cross the Mediterranean and make their way with difficulty through Europe. Readers are invited to take a view of the situation which is not governed by the fear and hatred whipped up by the language of media and many politicians. Contributors include: Alan Baker, Kathleen Bell, A.C. Clarke, Kerry Featherstone, Chrissie Gittins, Mark Goodwin, Tania Hershman, Siobhan Logan, Emma Lee, Carol Leeming, Joanne Limburg, Aoife Mannix, Roy Marshall, Hubert Moore, Thomas Orszag-Lund, Simon Perril, Sheenagh Pugh, Mahendra Solanki, Maria Taylor, Rory Waterman, Gregory Woods. You can get hold of a copy direct from Inpress Books here. My performance at Sanctum Bristol! So there's been this rather amazing happening in Bristol over the past few weeks - Sanctum, an initiative of American artist and initiator of public art projects, Theaster Gates. For 24 days, there was continuous, 24-hour sound of one sort or another in a brand-new structure which was built for this purpose inside the ruins of Temple Church in the centre of the city. And the sound? That was provided by hundreds of Bristol-based performers (and they let in a few non-Bristolians!) playing music, talking, reading, or creating in other ways! I was delighted to have been offered 3 slots - one at midnight, one at 2.40am (!) and one today at noon - to read some of my short stories and poems. At my midnight reading on Oct 31st there were rather a lot of zombies, it being Halloween... And at 2.40am, where I had expected it would just be me and the sound guys, there were 4 audience members and 3 staff! Today, I followed the amazing Tribe of Peace, a drumming and musical ensemble that had everyone dancing. I changed the atmosphere a little by reading mostly science-inspired short short stories and poetry for 20 minutes... if you'd like to listen, here it is! It's here! 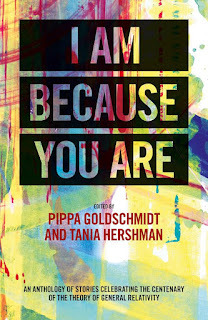 I am so proud to unveil the anthology of new writing inspired by Einstein's General Theory of Relativity, 'I Am Because You Are', published by Freight Books and co-edited by me and the wonderful Pippa Goldschmidt, astronomer, fiction writer and poet. As we say in our introduction, no previous knowledge - or even interest in - physics is necessary, our aim was to entertain, with great stories from some amazing writers - including Simon Barraclough, Joanna Walsh, Nick Parker, Vanessa Gebbie & Helen Sedgwick - and essays on aspects of the science from three fantastic scientists, plus two poems, just because we liked 'em. 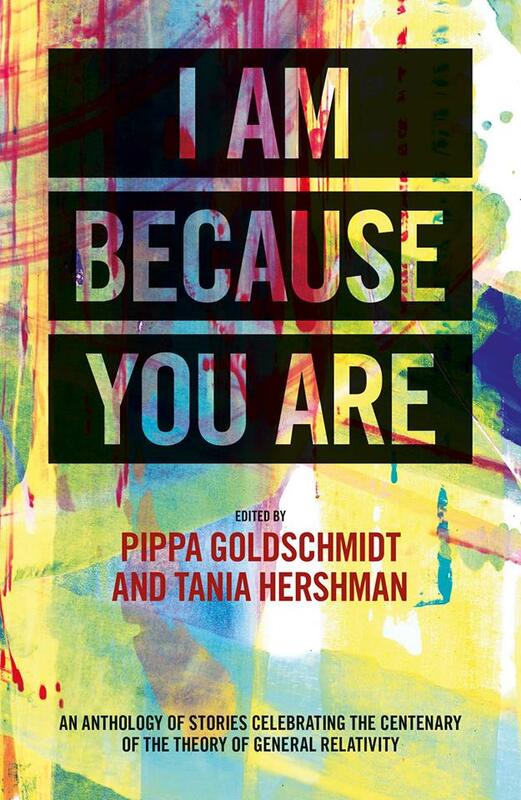 We are officially launching the anthology on Monday 9 November at The Wash Bar in Edinburgh (see launch event page here) and would love you to come if you're nearby...If not, the book's available in paperback (free shipping) and ebook formats, and we are planning more events around the country. We're open to suggestion - science festivals, literature festivals, anything at all, do get in touch and we will round up a few of our authors! After a night consisting greatly of coughing, I was delighted to wake up this morning to an email telling me I'd been shortlisted for the fabulous Live Canon poetry competition - the joy of this competition is that ALL the shortlisted poems will be performed by the ensemble at the prize-giving event, as well as being published in the 2015 anthology! Full shortlist below, congratulations all - and if you'd like to join us at the poetry party, it's on Sunday 22nd November at 3pm at Greenwich Theatre. Tickets are free. The Science Issue of Flash Frontier! Please support Greg - either by sending stories or by getting hold of a copy of the anthology! Tania will be talking about her latest book, Writing Short Stories, A Writers' and Artists' Companion and sharing her love of short fiction. Her short story collections are: The White Road and Other Stories and My Mother was an Upright Piano. Her debut poetry collection, Nothing Here is Wild, Everything is Open, will be published in Feb 2016. Don't miss the magic. 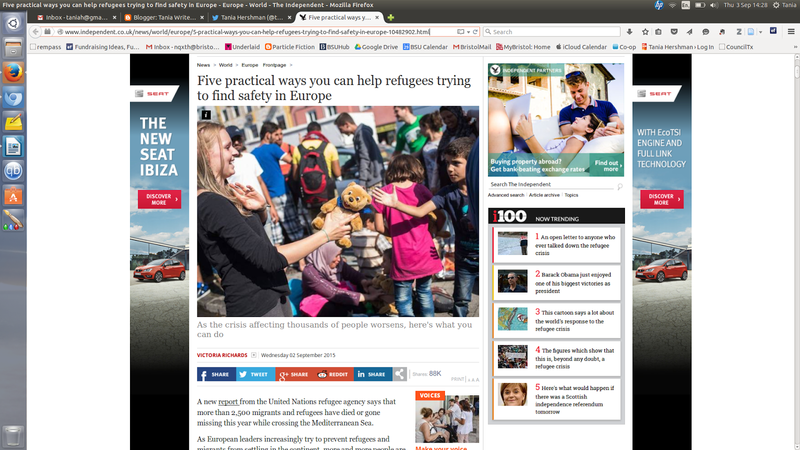 Yes, this blog is normally about writing, and a lot of me me me, but this is something that's more important - if you'd like to know how you can help the refugees, here's a great article in The Independent: 5 Practical Ways You Can Help Refugees Trying to Find Safety in Europe. Flash Frontier - send us your science-themed flash stories by Aug 31st! A little last-minute reminding that I am a guest editor, along with the wonderful Kathy Fish for the September issue of New Zealand flash fiction online journal Flash Frontier, and we want your flash stories, up to 250 words, in some way using or inspired by science. We are open to all sorts and flavours of story, in any shape or form, so let your imaginations lead the way! Deadline is Aug 31st. I gave up on literary agents a few years ago. I did have an agent interested, a lovely person, when I was doing an MA in Creative Writing in 2004 and my first story was published- actually broadcast, on Radio 4. She was so nice, she and her assistant even came to my MA graduation ceremony, I was very surprised, I thought this meant I'd made it. This was it! But I lived abroad and although whenever I came back to London we met for a chat, she never seemed to want to talk about my writing. I was very naive, it took me a while to realise this was odd. For an agent. When I asked her if she'd talked to any publishers, she said she had but they all said, Come back when she's got a novel. Right. OK. No novel planned so me and Lovely Agent went our separate ways. I sent three stories to Salt Publishing, who were then accepting submissions direct from authors, and in 2007 got the incredible news that they wanted to published my first collection, The White Road and Other Stories. Life-changing. Well, then I thought, when TWR was, shockingly, commended by the judges of the Orange Award for New Writers (as it was then, sadly no more) in 2009 that this would mean agents would be if not clamouring (I am a short story writer, I am not entirely deluded) but at least open to suggestion. So I met with a few, and that was fairly terrifying, especially for this introverted writer who is better in writing, not so good at blind dates, especially the literary kind. Well, they mumbled similar things about novels - but added, Could you maybe write longer stories, at least? (Half the stories in the collection were flash fictions, a page or less). Well, no, not really. I didn't want to be told what to write. The thing is, when I didn't think about this side of things, the 'business' aspect, I was really happy with what I was doing. I was writing mostly flash fictions, I'd found homes for many of the stories in lit mags that liked the weird and the surreal - which I had thought no-one outside my head would get let alone want to publish. But there was a part of me that was still sad - I'll admit it, it was hard to see friends getting agents themselves - that at least partly, it seemed, because of the length of what I wrote, the mainstream just wasn't interested. I knew my writing was odd, wasn't the kind of thing that had mass appeal, but I still thought maybe there was a place for me. A friend came up with a great analogy: department stores want items, she said, that they can mass produce, sell huge quantities. Every now and then they'll take a specialised, hand-crafted, one-off, a limited edition. But that's not what they want, not what they sell. You and I, she said, write hand-crafted, artisan belts. Yup. Still, I tried a few more times, writing to agents who represented friends of mine. But - and of this I am truly ashamed! - I started my letters with "You probably don't want to hear this but I write short stories." OH DEAR! They didn't reply. Who would, given an opening like that! If you're not your own champion, why should someone else be? So, after that, I stopped. My second collection, My Mother Was An Upright Piano, made up entirely of very short fictions, was published in 2012 by the wonderful Tangent Books, based in Bristol, where I had moved to by then. And having not just one book - my lifelong dream - but TWO seemed miraculous, more than I'd wished for. I was happy. I was writing. What else mattered? When 18 months ago I was researching for the section on the history of the short story for the book I co-authored, with Courttia Newland, on writing short stories, I started to read a lot about the short story being a "marginalised form", and, as such, a place where writers could experiment, could express themselves more freely because they were not being watched. And it hit me: because I'm not working on a novel, the dominant form in this country, at least, and because no-one's been waiting for me to produce anything - I have been free, I really can write whatever I like! And I am. I've reached a point, after writing fiction for 18 years, where I feel pretty much uninhibited - free to write about whatever I want, in whatever style I want. This is a great feeling! When I began writing poetry, a few years ago, it did feel like "starting again", slipping down the snake and trying to pull myself back up the ladder. There were technical things to learn, and at first I was very conservative, nervous that the outside world wouldn't consider what I was doing to be "poetry". This is what it's like, I remember - you've got to learn certain rules and then, only then, can you break them, imaginatively, wildly. I was worried, for a bit, that while I felt totally unconstrained in fiction, my "voice" in poetry was different, traditional, didn't quite feel like me. But over the past 6 months something clicked, and I've felt able to let go in poems too, to start to taste that freedom here, boosted immensely by having poems accepted for publication and recognised in competitions, which is what has always helped me with short stories too - I write to connect, with even just one stranger, and when that happens, especially with the oddest of my pieces, it gives me permission, to carry on and to take it even further. Permission has become something I talk about a lot. So, now, with two collections published, a book on writing co-authored, and a poetry pamphlet due out in February, all thoughts of agents had vanished. I just felt - and feel - very grateful. And that's when Kate turned up. Literally. 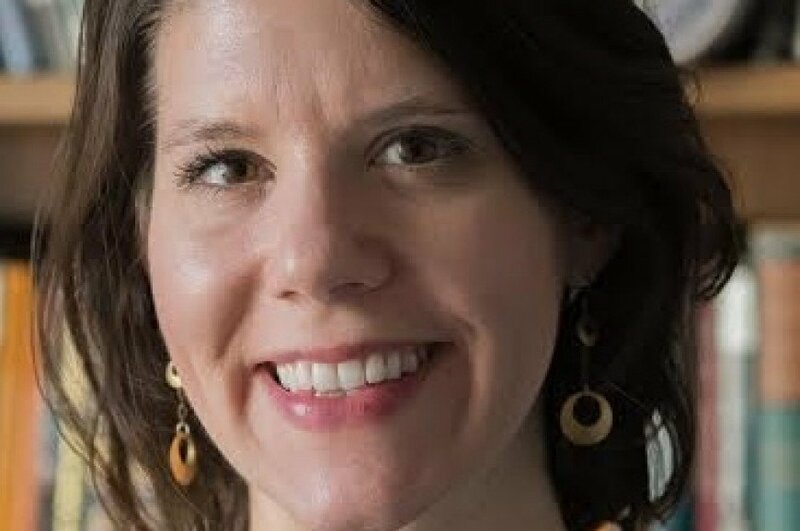 She is from the US, she is an agent with Wolf Literary Services in Brooklyn, and she recently moved here, to Bristol, because of her husband's job. Right here. She got in touch, to chat - I thought - about Bristol, about books etc... and we met for a coffee. Honestly, I had no thought about talking to her about my work. I was planning on recommending other writers she might like to check out. But as we talked we discovered we loved the same writers (Aimee Bender, Maggie Nelson) and disliked the same books (not going to tell you those). She also told me she'd happened to read a few years ago one of my short stories, The Special Advisor, that was published in Five Dials, and the way she talked about it was the way every writer dreams that someone will talk about their work. I then told her about the book I was working on for my PhD, a hybrid book that I am aiming to be Uncommercial and Pretty Damn Weird. When I got home, I had a think and realised that here was an opportunity it would be silly for me to let pass by. So I got together all the newer short stories, plus some poems, whacked them into some kind of order, and sent them to her. I really wanted to say, Don't worry if you don't like them, let's just be friends! But I stayed professional. I said there was no rush, and really I didn't imagine anything would happen. I thought I was not a very attractive prospect: not a debut author, not under 35, short story writer, weird stuff. But then, two weeks ago (on my birthday!) I got an email from Kate which said, "I LOVE YOUR WRITING" (in CAPS, yup). It said some more lovely stuff, the main part of which was "I would love to represent you, for this book, your PhD book and beyond". And all the nonsense that had been in my head about not needing this, not wanting this, melted in an instant. I have been so fortunate that people have said wonderful things about my writing over the years, utterly delightful and unexpected things, things they didn't need to get in touch and say. Somehow this was different, this was someone - who had met me in person, too - saying, I will be your champion. I believe in you, not just for what you've done, but for what you will do too. I want to see that happen, I want to help you continue to flourish. Kate and I met a few days ago to talk more, to try not to gush as much as both of us wanted to, we later confessed - and now agreements have been signed. So, meet my agent: Kate Johnson, of Wolf Literary Services. Had I been trying to write the sorts of things I thought an agent or editor would want, she and I may never have met. Had I kept on thinking after I'd met her that I wasn't the sort of writer who needed/deserved an agent, and not taken that risk, not sent her anything, nothing would have happened. We are now trying to mould those short stories and prose poems into something collection-shaped, and see what occurs. Nothing is certain, of course. But having Kate on my side has already had an effect on me: the day after receiving her email, I sat down and wrote for 3 hours, I re-started my PhD book, and this time I truly let myself go. I let myself play, be as weird and odd as I love to be, and enjoyed myself immensely. It was only then that I realised how I'd been holding back, not wanting to really experiment. Kate gave me permission to do that. Sometimes, it seems, we don't realise we need that permission until it's been given, until we're released, liberated. Thank you, Kate, you've already changed everything. I look forward to seeing what happens next! So, I got some Very Nice News a few weeks ago that I couldn't share - until today! Here it is - it made me cry when they told me, and seeing it in print has moved me all over again, Congratulations, all! Two British Poets Take Top Spots in Munster Literature Centre's Fool For Poetry Chapbook Competition. Victor Tapner has taken top prize with his manuscript Banquet In the Hall of Happiness. Tapner's full collection Flatlands was published by Salt in 2010. Among his previous honours he has won the Cardiff International Poetry Competition, the Wigtown Prize and Flatlands won the East Anglian Book Award for Poetry. 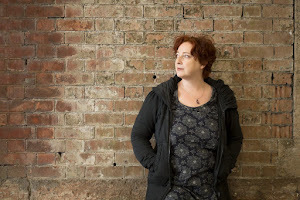 Tania Hershman came second with her manuscript Nothing Here is Wild, Everything is Open. Tania has published books of short fiction previously but this will be her debut poetry volume. Her fiction books are The White Road & Other Stories (Salt, 2008) and My Mother Was An Upright Piano (Tangent, 2012). The judging process consisted of Patrick Cotter selecting the finalist manuscripts and past and present Southword Poetry editors, James Harpur, Thomas McCarthy, Leanne O'Sullivan and Matthew Sweeney, ranking (without mutual consultation) each finalist in order of preference. When points were added up Victor Tapner and Tania Hershman came out tops. The winning chapbooks will be launched at next February's Cork International Poetry Festival. Flash Frontier - send us your science-themed flash stories! I'm back from an amazing trip, will blog about it here soon - but in the meantime, I am a guest editor, along with the absolutely wonderful Kathy Fish (whose flash collection, Together We Can Bury It, sits by my bed so I can dip into it in times of need) for the September issue of New Zealand flash fiction online journal Flash Frontier, which we decided would have a science theme. So please wow us with your flash stories, up to 250 words, in some way using or inspired by science. We are open to all sorts and flavours of story, in any shape or form, so let your imaginations lead the way! Deadline is Aug 31st. Am still on my travels - and oh my, what wonderful travels they have been, Mexico was the most welcoming and magical! - but just had to share this with you: I woke up to see that my short short story is in today's El Universal, one of Mexican's daily newspapers, translated into Spanish! You can see it (or, if unlike me, you speak Spanish, you can read it) here... The title is Mi Madre Era Un Piano Vertical - guess which story! I feel so honoured, we got so much press coverage, the short story writer as (temporary) celebrity! I know it'll never happen again so I just enjoyed it. Will blog more when I get home! ADDENDUM: I missed that they have also published a translation of another of my stories, The Painter and The Physicist. 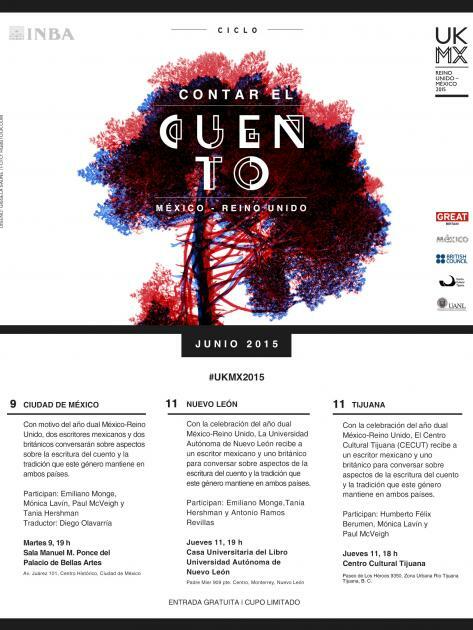 I'm delighted to be heading off to Mexico this week as one of two short story writers - together with Paul McVeigh - given the honour of being the first of a veritable slew of writers the British Council's sending to Mexico this year! We are each doing two events - one in Mexico City, and then I head to Monterrey and Paul to Tijuana. If you happen to be nearby, details are here! And on this lovely poster above, I believe (sadly, I speak no Spanish)! I'm really looking forward to visiting a country I've wanted to visit for many many years, and learning more about Mexican literature, the short story in particular. I feel ashamed at how little I do know, partly because of how little we get in translation over here. I am immensely excited at meeting the writers I'm doing events with - Monica Lavin, Emiliano Monge and Atonio Ramos Ravillas. 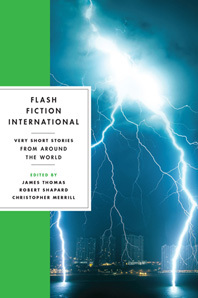 I'm also delighted that this fabulous new anthology that I am honoured to also be in, Flash Fiction International, contains a disproportionately large number of Mexican writers. From this I suspect that I will find many flash fiction and short story sympathizers! I will report back. Promise. I haven't written a blog post like this for a while, an attempt to tie all my current thoughts together into some sort of whole (for which I will not claim coherence). I suspect that I might find out what it is I want to say through the writing of it, which is, often, how this writing thing works. So. Kindness. This is a concept, an action, that has become almost the most important thing for me, the thing I try and practice above all else. Kindness towards others, whether I know them or not, and - hardest of all - towards myself. When I say "kindness" it has deeper ramifications than just smiling, saying something nice, it is, for me, about dealing with other people ethically, mindfully. Hard to actually say more precisely what I mean by that, maybe because it's always evolving, which I think is how I want it to be. But basically we know what kindness, thoughtfulness, mindfulness and compassion mean, in large terms. And when I say "practice", that is accurate because in my experience it takes practice, it takes vigilance, it is not my default, it takes work. We do seem to be programmed to be defensive, to look for a tribe to join and to privilege, rather than seeing everyone around us - and further afield - as human beings in the same boat, with the same struggles. And, trying to be kind here to myself, I'm not going to come up with a list of excuses for why this is. It's easy to let go, lose sight. The thing is, actively trying to change one's behaviour, to rewire the neural pathways so it might become more of a default action, takes energy. It is easy to keep driving in a straight line, on a well-paved road. Changing gear, turning the wheel, requires fuel. When I'm tired, stressed, not feeling well, it's far far harder to stick to my intentions. This is where the "Energy levels and Introversion" referred to in the title come in. I discovered 2 years ago after reading Susan Cain's momentous book, 'Quiet: The Power of Introverts in a World That Can't Stop Talking' that I am introverted. I had thought, for years and years, I was some kind of weirdo, a hermit, anti-social, because of my need to be alone for substantial amounts of time. I was made to feel this way when I first decided, at the age of around 27, that I couldn't live with flatmates, needed to live alone. The flatmate I was living with at the time couldn't understand this at all, I think she actually preferred to never be alone (which I can now understand a little better - and shows the need for more talk about introversion and extroversion!) and she took it so personally she never spoke to me again. What I didn't understand then was that being alone is not just a lifestyle choice if you're an introvert, it's a physiological necessity. I thought I would pass this on in case you think you're an antisocial weird hermit too. Well, you might not be. If you Google "introvert" this is the first definition that comes up: "a shy, reticent person." Well, if you met me - those of you who have - you wouldn't use those words. I can perform on stage, I can talk in front of large groups of people, I can teach workshops, go to parties (well, hmm) - I can, in other words, appear to be what we call "extrovert" - but the difference is that all these things, all these interactions, drain my energy. Whereas a more extroverted person gains energy from these same interactions. And it's a scale - if you're half way along it, you're an ambivert! introversion and extroversion lie at the heart of human nature. One scientist refers to them as “the north and south of temperament.” When you make life choices that are congruent with your temperament—and allow others to do the same—you unleash vast stores of energy. Conversely, when you spend too much time battling your own nature, the opposite happens: you deplete yourself. And this isn't the same type of energy that can be replenished by getting a good night's sleep. I have some theories about the type of energy it is, I think it's to do with adrenaline, but I can't find any studies about this. I re-read Susan Cain's book the other day, and what stuck in my mind this time were the scientific studies about highly reactive babies versus non-reactive babies. The researcher had a theory that babies who reacted to every noise, every light, stimulus, would grow up to be introverts. And this turns out to be pretty much the case. I definitely feel that when I'm out and about, I don't do a great job of filtering - that sometimes I feel the world is shouting at me. I have trouble following conversations if there are more than 3 of us, I get easily distracted. Reacting to many many stimuli takes energy. And perhaps we then need to be alone to replenish, but not just alone, "turned inward", which is what "introvert" actually means, so that we are not reacting at all, or doing the opposite of reacting, which is using whatever means we need to unreact. This seems, for me and for others I've talked to, to involve a great deal of thinking. I think all the time. I think my way into trouble quite often, reading far too much into something, worrying about my own behaviour etc..., but then what's rather nice is I think my way through and out of it too. Apart from the being alone and the thinking, I like to sit in corners when I am in cafes or events, to be able to observe without necessarily being seen. I'm awful at small talk (what a relief to know that there might be an "explanation" for that!). But when I have a deep conversation with someone, one-on-one, I can feel my energy reservoirs filling up! Now, before I discovered this, 2 years ago, I think I was always depleted to some extent or other. I would get ill quite often. 15 years ago I was diagnosed with a thyroid condition, but I never believe this was the problem and stopped taking the medication. Now I think it was because I was ignoring the warning signs and getting severely depleted. And when "introvert burnout" happens, it's not like getting tired. It's like when that battery-operated Duracell rabbit's batteries start to run out - my limbs stop being able to move properly, my head is a fog, and I know quite soon I won't be able to speak full sentences. Sometimes I have the feeling of wanting to crawl out of my own skin. I'm a car with no petrol. What a bloody relief to find out why and how to fill myself up! And now I know what it feels like to have my full energy, it's a kind of bliss! Of course, I still overdo it (hence the cough which has lasted about 8 weeks). I keep thinking, I can go out to one more poetry reading, I can teach one more student. But nope, I can't. And I suffer. And have to cancel 4 events or students. Interestingly, I read an article that was circulating last week on the Huffington Post entitled 18 Things Highly Creative People Do Differently. And many of them sound like introvert-type behaviours: daydreaming, observing everything, taking time for solitude, people-watching... I wonder if so many of my writer friends and I are introverts because we write, or we write to fill in all those hours we are alone... or - it's not that simple! Anyway, being an introvert is not a diagnosis, not a personality disorder, not a problem at all. It's like being fair-skinned means I can't go out in the sun for long without suncream. That's just how it is. I can't go out too often without having to be alone (sometimes with the curtains shut during the day) so I can turn inwards. Up to 50% of the population of the US may be introverts, so it's probably something like that here too. The point of all this is that when I am at full energy levels, everything - EVERYTHING - is easier. My thoughts don't spin real-life events into stories that have little basis in reality (I'm not talking about fiction-writing here, but about the monkey mind that persuades us of cause-and-effect where there may be none, generally to our detriment). I've got the energy to go against my instincts and stop for a split second before acting, before making a decision, to see if I am being true to the way I want to be in the world. That takes energy. I fail, a lot. I spend time thinking over - as the Stoics recommended - how I've dealt with people and what I can learn about being better. (I am a fan of the Stoics, and of Buddhism, although their approaches do diverge.) But I also try not to beat myself up for doing things "wrong". Because that's not kindness to me. So, I guess what I am trying to say is this: paradoxically, in order to change my behaviour and be more like the way I want to be in the world, I have to first recognise and nurture the way I already am, the way I work best, in order to have the energy to change. I'd love to hear your thoughts - on any of the above! It's been a while since I've invited anyone to fill in my Writing & Place questionnaire, but when Melissa Harrison's new book came out, I realised that it was the perfect thing to ask her to do - her novels are so much about place and nature, and I wanted to delve a little deeper! (Ok, to be honest, all writers have something interesting to say about writing & place and I am always wanting to delve a little deeper! 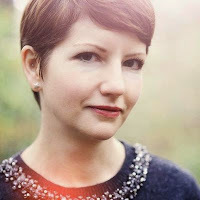 More W&P guest blogs coming soon...) You can catch her in person at the Hay Festival this Monday, May 25. Mel and I met as writers-in-residence at Gladstone's Library just over a year ago (and I believe I introduced her to the delights of flash fiction, which she proved rather good at!) Her first novel, Clay (Bloomsbury, 2013), had just won the Portsmouth First Fiction award and was chosen by Ali Smith as one of her Books of the Year, a rather ringing endorsement, eh! It was because of Mel that I started thinking about reading more nature writing, something that I think I'd not been attracted to - and this led to me reading/devouring H is For Hawk by Helen Macdonald, which I am immensely glad about. Howard and Kitty have recently moved to Lodeshill after a life spent in London; now, their marriage is wordlessly falling apart. Custom car enthusiast Jamie has lived in the village for all nineteen years of his life and dreams of leaving it behind, while Jack, a vagrant farm-worker and mystic in flight from a bail hostel, arrives in the village on foot one spring morning, bringing change. All four of them are struggling to find a life in the modern countryside; all are trying to find ways to belong. Building to an extraordinary climax over the course of one spring month, At Hawthorn Time is both a clear-eyed picture of rural Britain, and a heartbreaking exploration of love, land and loss. It is out now, published by Bloomsbury, and has earned the admiration of Helen Macdonald, author of the multi-award-winning bestseller H Is For Hawk. 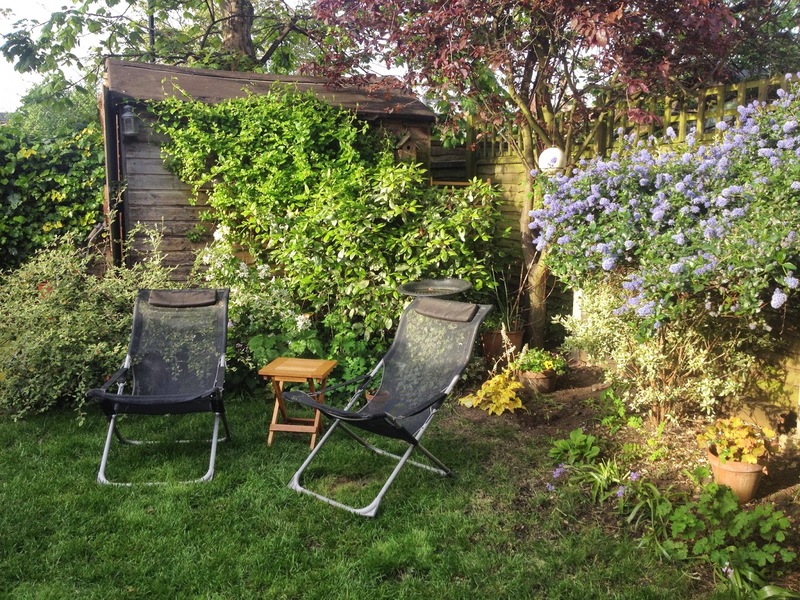 South London, in the sunshine, with my laptop on my lap. There’s a blackbird singing in the sycamore above me, and a smart little goldfinch helping himself to my bird feeder. My dog Scout is lying on the grass behind me, soaking up the sun. In a few minutes she’ll pick herself up reluctantly and move into the shade for a few minutes, then she’ll collapse again in the sun. 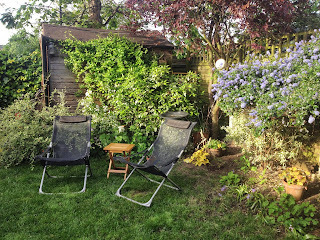 Although my rented flat is a little ramshackle around the edges, having a garden – being able to plant things and see them grow, being able to feed the birds and see them nest – has been transformative for me. It also meant that we could get a dog, which got me out exploring London’s green spaces – something that really fired me up to write my first book, Clay. M: My husband and I have rented this flat for a decade now; I’ve lived in London for 18 years, always, with the exception of my first six months in the city, south of the river. I much prefer south London to north; there’s less money swilling about, which feels healthier to me, and by and large there’s a good mixture of nationalities and social groups, which to me is important. I’m worried that this is changing right across the Capital, though; Brixton, just up the road from me, is undergoing very rapid and very depressing gentrification. I go through periods of wanting to leave London and live in the countryside (wherever that is) and then realising I’d miss the city. I grew up in a semi-rural area, and I spend a lot of time walking in places like Cumbria and Dartmoor; I write about nature, so I suppose it’s inevitable from time to time. I don’t think I idealise rural life, at least I hope I don’t; my second novel, At Hawthorn Time, is about the clash of narratives that we can fall prey to when it comes to “the English countryside”, which is a very complex, very powerful and often quite exclusionary idea: the dream of country living that a lot of people have is in stark contrast to the reality of a lack of jobs, lack of affordable homes, rural pubs closing and farms going under at a terrifying rate. But I would like to live among woods and fields and hear owls in the evenings and see water voles and adders. Each August I look after a friend’s house in Dorset for two weeks where I can do exactly that, and while I’m there the idyll can seem close enough to touch. But I know that I’d miss London, and I’d probably talk about it all the time. Being a Londoner is part of my identity now. Being pulled in two directions, though, can be a productive state for a writer. Balancing differing ideas (and ideals), learning not always to look for certainty or resolution but to tolerate doubt, is a good exercise for the imagination. Life isn’t simple, and people are full of contradictions. M: So far, I write long-form contemporary fiction. I have written a few short stories – and I love reading them – but I’m not convinced they are my natural métier. Perhaps with practice mine would improve. I’ve also written a short non-fiction book about rain, which is in the pipeline. And I do quite a lot of journalism; I’m one of a team of five that writes the Nature Notebook in The Times each Saturday, and I review books for The Times and the Weekend FT, and do some other odds and sods. In my twenties I worked as a copyeditor and proofreader, and now I am a production editor and sub, so the critical part of my brain is overdeveloped when it comes to being creative; I find it very hard to let ideas just flow, as my sentences are already being critiqued on the journey from brain to page. But it has a few advantages, one of which is that I’m good at the sort of focus and discipline writing for newspapers requires. And I turn in a very clean manuscript. M: What I write is steeped in place, and also in the seasons. I couldn’t start something without knowing what time of year it was, because that would affect everything that was living and growing, and would fundamentally affect the setting. As for place, I need to know things like the soil type (so I know what kinds of woodlands it will have, or example, and what kind of agriculture). But I don’t have to be in a place at the time when I’m writing about it; it can be somewhere I know well, like Devon or Shropshire, or somewhere I have visited specifically in order to write about it, for instance the Cambridgeshire fens; I take a lot of photos when I’m out, and use them to put myself back in a landscape. 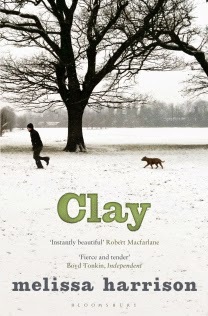 Clay, though, was mostly written in south London, and very much inspired by the streets around my home – though I decided not to specify which city it was in the text, because I wanted people to imagine it taking place in their city, wherever that was, so that the book’s underlying message about the value of nature could have the widest possible reach. And it seems to have worked; I had people asking me to confirm it was set in both Birmingham and Manchester. I write a lot at my desk at home, which is in our bedroom (I dream of a room of my own!) I also write on my laptop, sometimes at The Social in central London, just for a change – though when it’s fiction I struggle to write outdoors: it’s just too distracting! When I’m really wrestling with a scene I’ll often abandon computers altogether and sit with a notebook and pen and write out my thoughts longhand. It slows my brain down and forces me to focus; it also feels less ‘serious’ and more jotty, which can sometimes free me up. 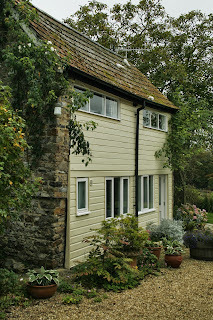 Shilling Cottage, highly recommended by Mel! ’ve rented three times now, off season when it’s cheap. Being totally alone for two weeks is intense. Sometimes it’s gone really well, and been incredibly productive; at other times I’ve found myself in an unpleasant mental state. I was at the Devon cottage in January this year, trying to start something set in that actual location. The work petered out and died, which was painful; but the time I spent there was valuable in other ways, and the things I did – climbing a hill at 5.30am to watch dawn rise, visiting a dairy farm and watching the milking – are turning out to be useful for something else. As research for At Hawthorn Time I walked a section of the A5 north out of London, alone, for four days and three nights. It’s a trip one of my characters, Jack, who is a vagrant, makes, and I wanted to see what it was like – which turned out to be very different from how I’d imagined it. It was also a really valuable insight into how exhausting it is always to be an object of curiosity, never to fit in. One of my jobs, as I see it, is to defamiliarise the English landscape (which includes cities); to help people see places anew, and to jog them out of the anthropocentricism which we’re all of us guilty of, and which presents the world to us only in terms of human priorities. Relating differently to the natural world is key in finding ways to protect it, as well as being personally transformative; so for me, not fitting in – not taking place for granted – is vital. Thank you so much, Mel - and for some more inspiring words, here she is giving the recent Coleridge Lecture for Bristol's Festival of Ideas, which got me thinking about my surroundings - that tree in front of my house, the birds - in a way I am ashamed I never had before. 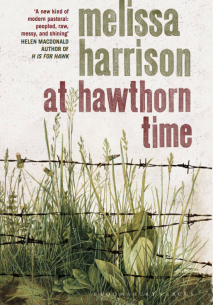 You can purchase At Hawthorn Time (Bloomsbury, 2015) at all good bookshops, in hardback, and Clay, in paperback. Mel is very active on Twitter, follow her at M_Z_Harrison, and check out her website & blog!And go say hello to her at the Hay Festival this Monday, May 25. There is shortly to be some non-me-me-me activity on this blog (I hear you cheer!) but for the moment, sorry, still me, in brief - delighted to have had a poem longlisted for The Rialto's Nature poetry competition! Also delighted to have a new piece of oddness up on Visual Verse (which is such a lovely 'zine, why don't you have a go? ), another outing for an older flash on FlashFiction.net and four stories on MexicoCityLit in advance of my work trip to Mexico (more on that soon!) - and, for the next 30 days (perhaps?) 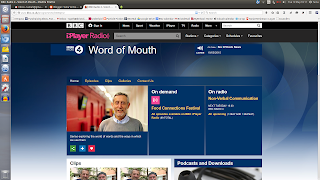 me reading newly-commisioned food-related flash fiction and poetry - in the fine and wonderful company of Simon Panrucker and Barny Houghton - on Michael Rosen's Radio 4 show, Word of Mouth! I do love reading my own work, and have recently discovered the delights of SoundCloud, where you can upload recordings... I've just added 3 new ones, including two poems that have just been published in Shearsman magazine, here they are below, in case you fancy a quick listen, and my SoundCloud Page has a load more! To follow up on the previous post, this is what I'm trying to foster with my retreat from Twitter etc...! "Getting into the mind-wandering mode helps to push a kind of neural reset button in the brain, it replenishes your focussed state..."
RSA Spotlight: Daniel Levitin on Information Overload from The RSA on Vimeo. I am half way through my PhD and really want to experience every moment of it, allow myself the gift of total attention to it and to the book I am working on. It's all going so fast, I don't want to miss it. In other news, I have two new poems in the brand new issue of Shearsman magazine, available here, and my poem, Lessons in Flanders Agriculture, which won 3rd prize in the Ruskin Poetry Prize, will be published in POEM magazine. Not sure exactly when, but - yippee!And I have a new - and LONG - short story coming out in the Summer issue of Ambit magazine. I'm all print right now, which is delightful. There may be some radio news coming up, as well as a collaboration with the wonderful Jo Bell - whose new poetry collection, Kith, comes out this month! Will keep you posted! EDITED: sadly, I wasn't well enough to go but I hear a great time was had by all, and I look foward perhaps to reading at Novel Nights another time! I'm really looking forward to appearing at the Novel Nights' Short Story Special this Thurs March 19th at The Landsdown, in Bristol. The poor organisers had to put up with me saying to them for the past year, But you do know I don't write novels? Until it was explained that it's not ALWAYS novelists that they invite... I am dense and annoying! Alongside wonderful writers Freya Morris, Ken Elkes, Judy Darley, Louise Gethin and Thomas Parker, I'll be reading some stories (and, shh, some poems too) and talking about writing and probably about permission, one of my favourite themes. Please do come if you're nearby! Just to let you know that you can hear a podcast of the permission-themed short story event I chaired with the wonderful Jon McGregor, Lucy Wood and Eliza Robertson - hope you enjoy it as much as I enjoyed the evening! I'm getting excited now about this event I am chairing next Wed - here are the details! Any questions you'd like me to ask them - about permission in writing, in particular? Tania Hershman delves into the imaginations of three wonderful Bloomsbury short story writers, Jon McGregor, Eliza Robertson and Lucy Wood, asking them about the weird and fabulous worlds they create in their short stories - from underwater husbands and memories entangled with catfish to how to trap hummingbirds, relinquish drams gracefully, feed raccoons without getting bitten, and fenland creations of things buried and unearthed. Jon, Eliza and Lucy will reflect on the risks they take in their stories and on what and who gives them permission to try new things. They’ll discuss how they write these clever, surreal and minimalist short stories that ask the reader to play a part in their creation, as well as their own personal taboo topics, why they write and what it unravels for them. Lucy Wood is the author of a critically acclaimed collection of short stories based on Cornish folklore Diving Belles. She has been longlisted for the Dylan Thomas Prize, shortlisted for the Edge Hill Prize and was a runner-up in the BBC National Short Story Award. She has also been awarded the Holyer an Gof Award and a Somerset Maugham Award. Lucy Wood has a Master’s degree in creative writing from Exeter University. Her debut novel, Weathering, is published this January 2015. She lives in Devon. It was a great honour to be guest editor for Smokelong Quarterly's Weekly edition and I'm thrilled that the story I chose, 'Maps' by Susannah Felts, has just been published. This story leapt out at me, I love it, I hope you'll feel the same. I was the girl who climbed in the truck. Who said: I'm in. You clean up real nice, he said. My legs, bending into the pickup. Those legs need boots, he said. 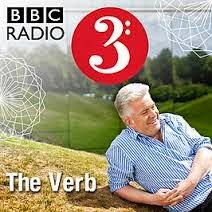 I'm delighted to be one of the guests on tonight's episode of The Verb - Radio 3's Cabaret of the Word! They phoned on Monday and asked whether I could write a piece of flash fiction inspired by... gasometers! No, I didn't know what they were either. I wrote it on Tuesday, read it to them on Wednesday, and yesterday went along to the BBC and recorded the program. We had such a laugh! The other guests on the program are Boo Hewerdine, who wrote a song inspired by Susannah Hislop's gorgeous book on the constellations, which Susannah read from, and Chris Prendergast and Paul Georgiou, co-authors of a wonderful grammatical adventure story! 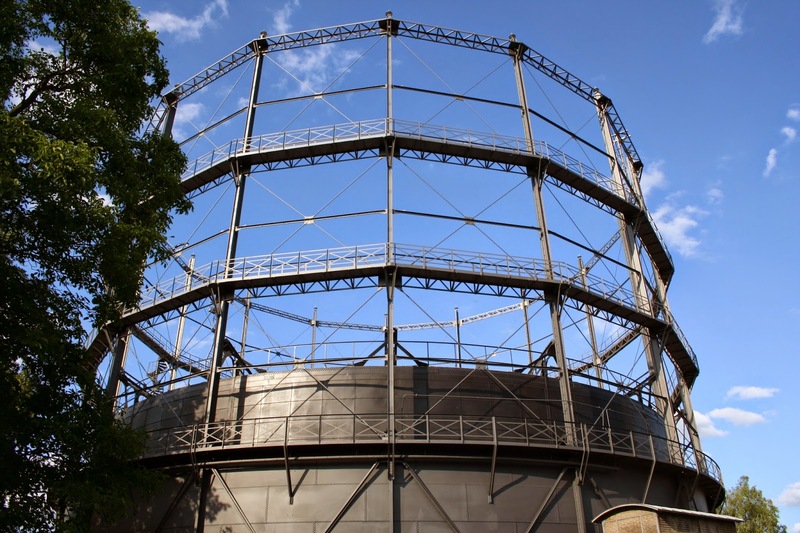 It's on BBC Radio 3 tonight at 10pm and then available as a podcast... As the host, Ian McMillan says, it may be a world first for gasometer-inspired-flash fiction ... ! Also, I've now picked the flash story that will be published in Smokelong Quarterly under my guest editorship and the author of the story has been informed - there were over 100 submissions, thank you to all those of you who sent your work! I'll let you know when the story is published, I hope you'll like it as much as I do! 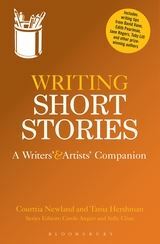 Picked randomly out of the hat, the winner of a copy of Writing Short Stories: A Writers & Artists Companion is Tracey Upchurch! Congratulations, Tracey... and commiserations everyone else, but thank you so much for sharing about what and who gives you permission, and the book is available for purchase at the usual outlets, such as Foyles, Waterstones and the Book Depository. Happy New Year of Writing!